Today is the last day of the 2018 Genius Blogger’s Toolkit. Like Cinderella, it disappears at midnight. If you have been thinking about it this week – now is the time to take action. You may have a few lingering questions so, I thought I would put together a list of a few of the more common ones. 1. Will I actually use ALL of the products in The Genius Blogger's Toolkit? You need to come to terms with that right from the get-go. Otherwise you will just fall into a deeper pool of overwhelm. There are 77 great products in The 2018 Genius Blogger's Toolkit. But just because you HAVE them all doesn't mean that you need to DO them all to get your money's worth. Think of it more like a reference library. While some of these will be perfect for you immediately, there are others you might not come back to for a little while. But when you’re ready for them, you’ll be so glad they’re there. Plus, most people will find at least a few bonuses that are a great value for them, so that’s an additional perk on top of the products. 2. How Can I Be Confident that the info in the Genius Blogger's Toolkit is Reliable? We buy a product that we thought was going to be great, only to find that it didn't live up to the hype. Because we are all different, I can't promise each and every product in The Genius Blogger's Toolkit will rock your world. But, I do know that the Ultimate Bundles team spent months scouring the resources out there and personally looking through each one to determine whether it met their standards or not. Many of the courses were created by big name bloggers that have a proven track record of success. 3. How much time will it take to get through the Genius Blogger's Toolkit? Remember what I said – The Genius Blogger's Toolkit is more like a reference library. It’s really up to you how much time you want to spend using it. When I find myself with a bit of free time, I will pull up one of the PDF eBooks and read it on the go. (I store my bundle in Google Drive so I can access it from everywhere). For the eCourses, I will actually book time in my schedule to work them through, one at a time. However, I do take the time to register for all the courses as soon as I buy the bundle. You’ll have these eBooks forever, and access to the eCourses for an entire year, so there’s really no rush. 4. Isn’t all this information already out there for free? No matter what subject you are researching, there will always be free information out there on the internet. There will also be multiple courses out there on a single subject – that you can pay for. The reason why these courses exist is because people want content that is well organized and curated – and that is also taught by an instructor that they can relate to. One of the reasons that I like The Genius Blogger's Toolkit is because there are so many courses taught by many different instructors. If one course or instructor doesn't resonate with you – there is another one at your fingertips to take it's place. 5. I’m not sure if I want to buy The Genius Blogger's Toolkit right now. Can I buy it later? 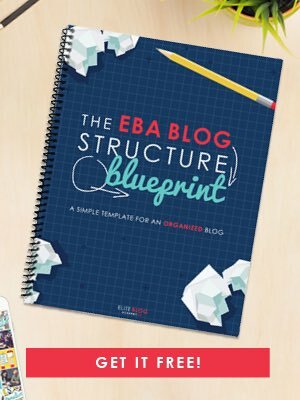 In order to bring together so many amazing resources in The Genius Blogger's Toolkit, the team at Ultimate Bundles agreed to sell them for a 6 day period only. They may bring back the bundle for an even shorter 2-day flash sale, but it’s not guaranteed. And often some or many of the bonuses will not be available at that time. I think we are all a little afraid of buyer's remorse. That’s where the 30-day guarantee from Ultimate Bundles comes in. If for any reason, you don’t feel the Genius Blogger’s Toolkit is right for you, simply email the Ultimate Bundles customer service team within 30 days for a full refund. They stand behind their products and their promises. In my opinion, there really is no downside, but there is a ton of upside. But I’ll leave that up to you. Just don’t wait too long, because the sale ends tonite. Click here to get your copy right now. Here is more information on the 2017 Genius Blogger's Toolkit that may be helpful to you. The 2018 Genius Blogger's Toolkit is here! Once you discover Ultimate Bundles – it will become your favorite way to learn.